Lacking signage save for the colorful, hand drawn words across the glass door and an adorable cartoon character we can only assume is Léo, we passed by Léo le Glacier for a brief break from the blazing heat Saturday afternoon. 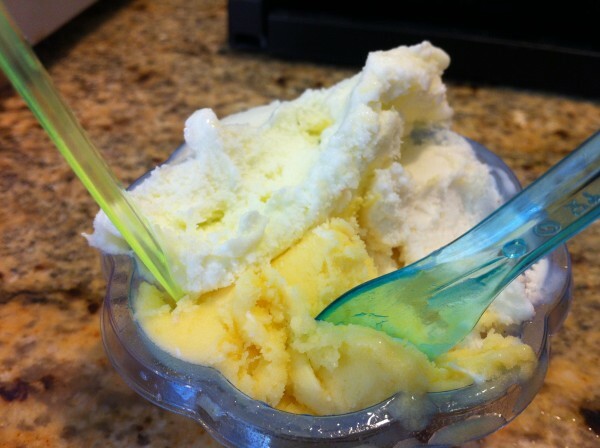 After spending the majority of the day out in the sun in Park Lafontaine, gelato seemed like the perfect refresher. 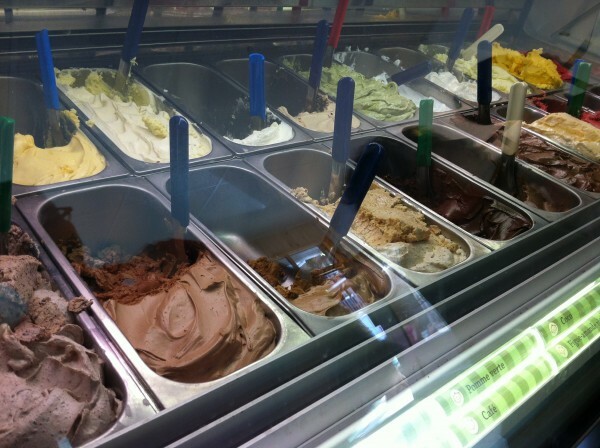 Stepping into the tiny gelateria, we quickly chose our flavor combinations. I had the coconut, pistachio and strawberry-thyme while my friend ordered the Tahiti vanilla, mango-peach and pineapple-basil. The coconut was one of our favorites – with little chunks of coconut bits in every bite, this one was more unconventional than expected, which we loved. The pistachio had a distinct nutty flavor and the strawberry-thyme was more of an unusual and interesting pairing, but rest assured also tasted very good. 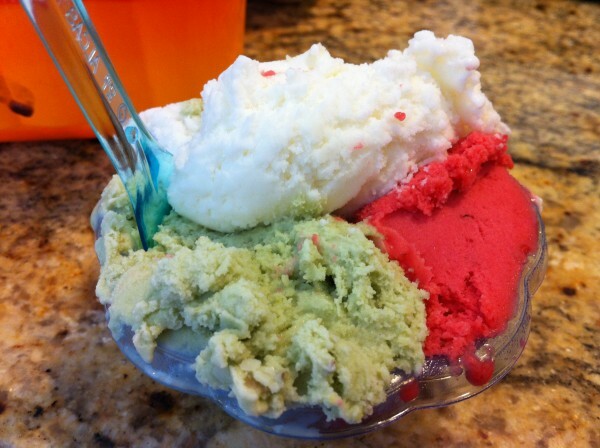 The pineapple-basil was another standout – the basil came through in a way that beautifully complimented the fruitiness of the gelato and left us wanting more. And more. And more. Looking at their website, it seems as if new products will be coming out very soon. The gelato sandwiches look absolutely ah-mazing, and the same can be said for their homemade popsicles… I’ll be checking in again to see when these babies will hit the shelves. Or should I say, gelato buckets… I also noticed that the gelato cups are made from a corn based material and is also entirely biodegradable. How cool is that?! Lovely little shop. We’ll be back! Tags: Coconut, Duluth, forkandtell, Gelato, Ice Cream, Leo le Glacier, Mango-Peach, Montreal, Park Lafontaine, Pineapple-Basil, Pistachio, Refreshing, Sorbet, Strawberry-Thyme, Summer, Tahiti Vanilla.